All human beings develop medical conditions at some point in their lifetime - from high blood pressure, diabetes, heart disease or cancer. Whether we develop a specific disease is due to a complex interplay between our genetic background and environmental triggers. Take smoking and lung cancer for example. It has been proven through medical research that cigarette smoke is carcinogenic and increases the risk of lung cancer. But try telling some smokers to give up and they’ll tell you “But my dad smoked 80 a day for 50 years and HE never got lung cancer”, or, “Well, my sister got lung cancer and she never smoked a cigarette in her life so what’s the point in giving up?”. This is because it is not just smoking that leads to the development of lung cancer; it is the interplay between our underlying genetic risk and the environmental triggers we are exposed to. The degree to which genetic factors influence disease is also sometimes called the “heritability” of a disease. We can try to tease out the genetic contribution to common disease through research - for example, studies are often undertaken looking at whether identical twins (who share 100% of their genetic code) develop a disease more commonly than non identical twins (who share, on average, 50% of their genetic code). If we assume that both sets of twins share the same environment, then any differences in disease frequency between these groups is likely to be due to genetic factors. Twin studies, amongst others, have confirmed that there is likely to be a significant heritable component to most common diseases. Why might we want to identify these genetic factors influencing common disease? One reason is that if we could predict people in the population more likely to develop a disease because of their genetic risk, we could target screening programmes at that group. For example, if we knew a person was more likely to develop diabetes, we could check their sugar levels once a year to pick it up early and treat it before complications of the disease arose. This is known as preventative medicine. 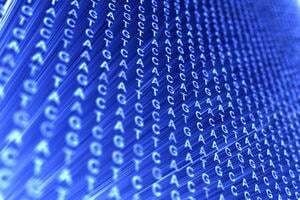 Finding the genetic variants which cause common disease will also give a greater insight into the biological pathways causing disease, and may lead to new treatment options for patients. Until recently, our ability to determine the genetic factors associated with common disease was limited to Genome Wide Association Studies (GWAS). Next-generation sequencing technologies (NGS), because they can sequence every base in the genome in contrast to GWAS which just looks at common SNPs, is a powerful new tool to decipher the genetic variants which can influence human disease and improve both the prevention and treatment of common conditions. Do you know of any common diseases/conditions which run in your own family and have you tried taking any preventative measures?